There’s no question about it: 2013 was a great year for us. How great was it? I chose a Christmas card that prominently featured the phrase, “Joyful and Triumphant” because that was how we felt as the year wound down. At the end of 2012, when I wrote about my hopes for 2013, my heart was kind of heavy. 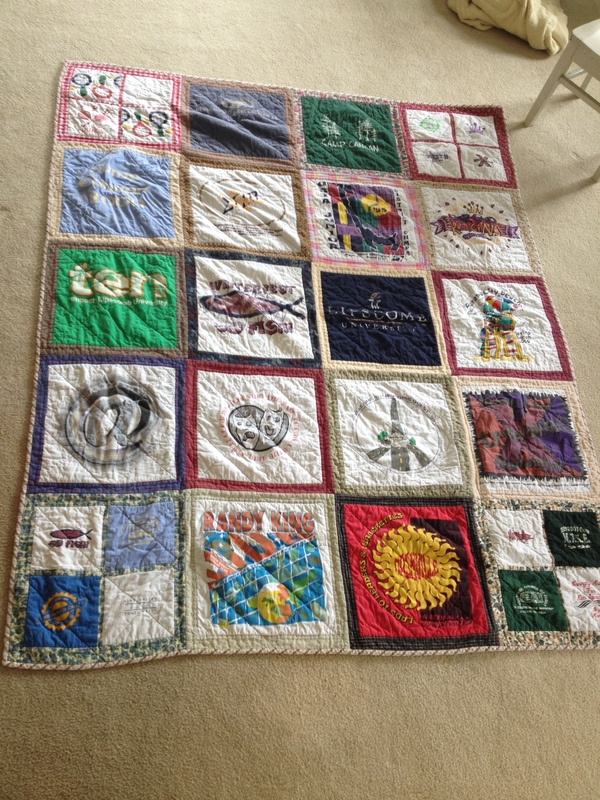 I longed for stronger social connections in Tennessee, and I desperately wanted to sell our house in South Carolina. This year, both of those things happened, and in addition to that, my husband won a full scholarship to get his Master’s degree in non-profit business administration! My semester of teaching college went well, homeschooling has been fabulous, our church had a great year in terms of baptisms and growth, and in general, life is good. So now here I am, writing my annual “New Year” post. As usual, I am coming off a Christmas season full of decadence: over the last three weeks, the wheels have slowly come off of my disciplined life as I’ve neglected my habits and routines in favor of celebration. It’s been wonderful, but by this point in the month I am always aching to get back to a disciplined schedule. Thus, I have many mental “resolutions” about renewing my quiet time with God, continuing my exercise routines, eating better, being more purposeful with my kids, and so forth. But really, I’ve come to realize that those determinations are just part of my normal life, and don’t have much to do with the new year. Instead, I want to use the new year to adjust my overall focus. Two years ago, I resolved to “live a life of love,” and I liked how that phrase guided me through the year. This year, I want my focus to be just one word: Relationship. I am naturally a goal-oriented person, and most of the time, I really like that characteristic. In my opinion, the easiest way to waste your life is to get lost in the minutiae of day-to-day existence and take your eyes off your “big picture” goals. That’s why I rarely question my compulsive need to step back and examine my life in the light of my overall aspirations. At the same time, I’ve noticed lately how my goal-oriented nature sometimes gets in the way of personal relationships. The thing is, sometimes I put ideas before people. I see this clearly in a larger sense when our society experiences a culture war kerfuffle like we have experienced recently. When that happens, it seems like most people take a look at the two “sides,” see which one they have the most in common with, and then back the people on that side. It makes sense, I guess, in a “team sport” kind of way, but that’s just not the way I work. I don’t have “sides”; I have “causes.” Most notably, my “cause” is the kingdom of God, and my goal is the spreading of that kingdom. Anything that supports that cause gets my support. Anything that detracts from that cause does not get my support. It’s as simple as that. It’s not about people; it’s about ideas. And in the big picture, maybe that’s okay: it seems somewhat petty to me to blindly back people just because they are more like you than the other guy. But I’ve also seen in the small picture how that orientation compromises relationships that I care about. For example, if I feel that someone doesn’t support my (in my mind, well-considered and sound) philosophy of parenting my children, I allow their lack of support to strain our relationship. 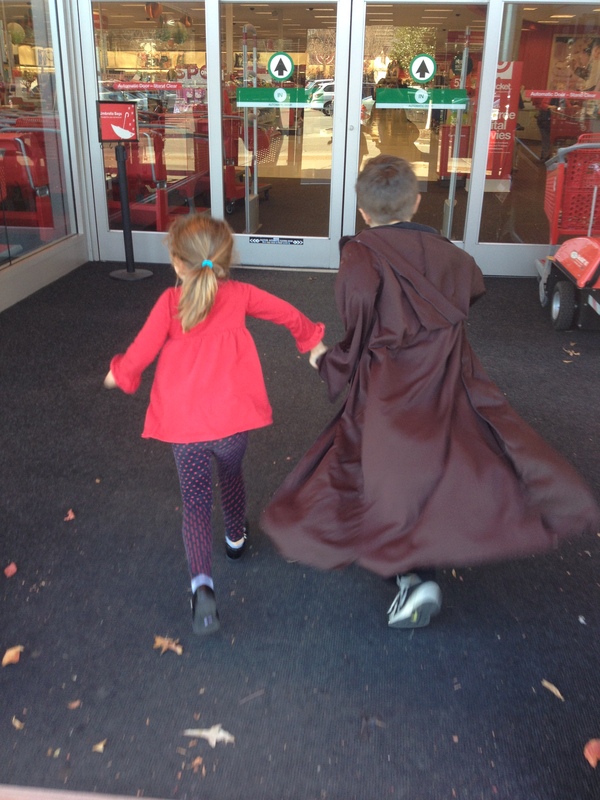 Heck–sometimes my philosophy of child-raising even gets in the way of actual relationships with my children, since sometimes I allow my overall goals for them to rupture our relationship in the moment! Faced with this shortcoming, I’m going to do what I do best: I’m going to set a goal to prioritize relationships! Ideas are important, but they are not more important than people. Goals are vital, but they aren’t helpful if you have to trample relationships to achieve them. And all of those lofty thoughts and hopes and ideals are nothing if their ultimate result is not more love for God and love for neighbor. Or rather, love for God through love for neighbor. This year, I want to love my neighbor in whatever form they come to me. And I want to put them before my ideas. I don’t know why, but there is just something luxurious about reading books. I think it has to with time. I mean, if I have time to read, I must live a privileged life, right? Seriously, who has time these days to do anything? Especially something as leisurely as reading an actual, bound book! And not just any book, but a book chosen based on one’s own interest and desires? That’s crazy! And the fact that I’ve had enough time to read at least ten such books…I mean really, what am I doing with my life?? Here’s the thing, though: I think we all really do have time. Some of us have more than others, granted. I’m guessing all you who work a full-time job, at, you know, an actual place of employment that pays you in money might have a little less time than I do, although I feel like I have a fair enough workload in life. Even so, I do think that people generally have more time than they think they do. For instance, it seems like we all have time to get on Facebook. Or surf the web. Or watch tv. So if we have time to do those things, then we have time to read, right? I read this book at the beginning of the year, so I don’t remember a lot of the details. I do know that it inspired me to be more graceful and loving with my kids, and provided me with a lot of comfort and affirmation. So often I worry that I need to be more disciplined with my kids–always teaching and training. 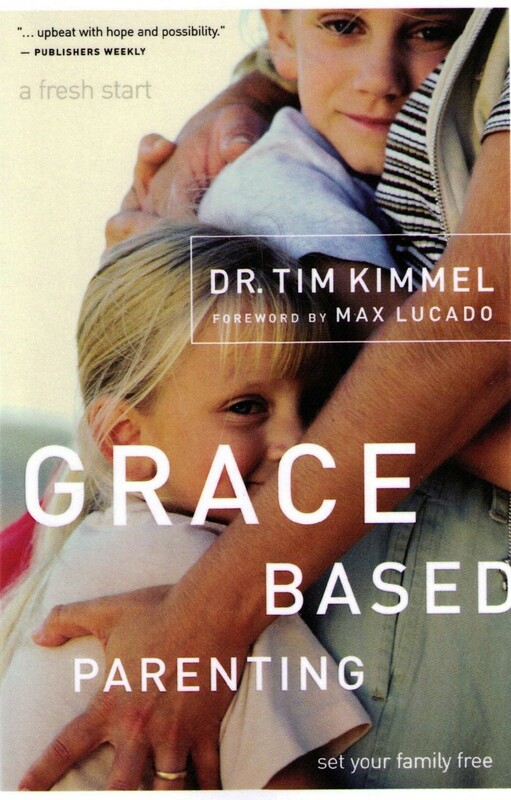 That’s definitely a big part of parenting, but in this book, Kimmel helped me to see how gentleness and love are also essential ingredients for successful child-rearing. 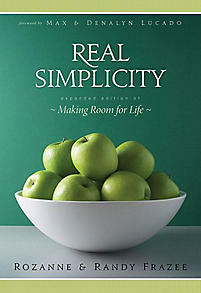 Kimmel gives the reader a sense of freedom in parenting; his book is the opposite of a manual. I came away feeling very inspired and empowered. This is a fiction book, and I tend to favor non-fiction. In fact, I really don’t read much fiction at all. 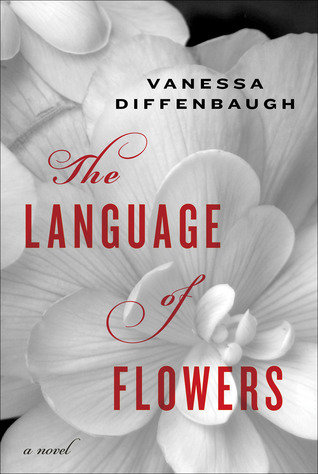 I chose this book, though, because it had garnered rave reviews, including a shout-out from Momastery. Plus, it was written by a long-time foster mom, and it’s main character grew up in the foster care system. Because of that, the novel served as an eye-opening look at the lives of neglected children and their tumultuous journey into adulthood. I read it more for social research than anything else, and was pleasantly surprised by the compelling narrative that accompanied the social message. The novel had it’s share of heartbreak and pain, but it ultimately ended on a hopeful note. First, let it be said: hands down, David McCullough is my absolute favorite historian. Seriously, at this point, he has reached the level of personal hero for me; he’s one of the few “famous” people that I would love to meet in real life. In my opinion, his best work is in biographies, but this (relatively) short look at the most famous flood in America is riveting. 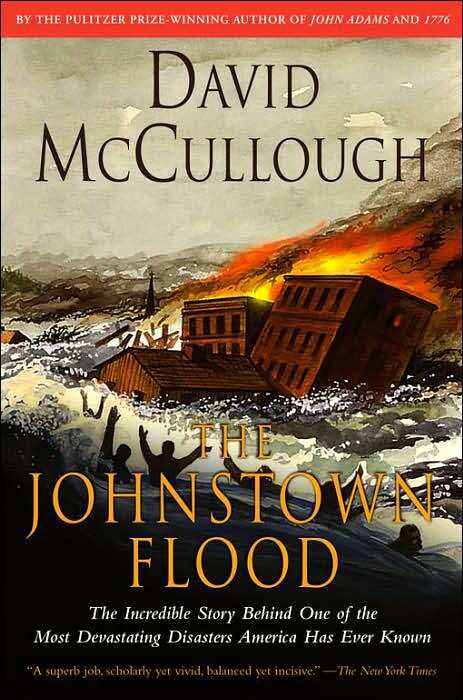 The Johnstown flood itself is fascinating history; it’s one of those things that you can’t really believe happened, even as you read about it in all it’s awful detail. And McCullough writes about it in such a way that key moments in the flood are seared into my mind. It feels like I’ve seen film footage of the event, even though none exists. His words just paint amazing pictures. Even with the grim subject matter, this was just a fun historical read. I tend to divide my reading interests into three genres: historical, spiritual, and parenting. However, this year, I found a new favorite niche: books about psychology and/or sociology. After I’d heard raves about Cain’s exploration of introversion, I had to check it out–especially since I myself am a definite introvert! Cain’s findings regarding introversion and American society were fascinating. They helped me understand both myself and my children better. 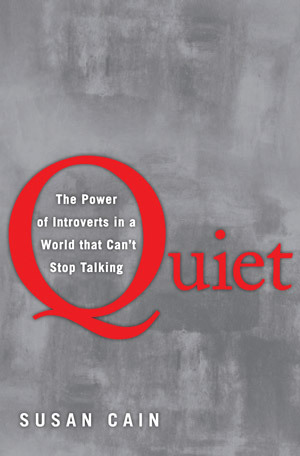 In addition, Cain specifically discusses introversion in the areas of school and church, and her insights were insightful to me, since I am deeply interested in both of those areas. This is yet another book that had been on my “must read” list for awhile. It’s a secular book about women’s issues worldwide, which interestingly, made it even more interesting for me as a Christian. I’m used to hearing about social issues from a Christian perspective, and this more clinical (yet extremely interesting) analysis of global ills was kind of refreshing. The authors care passionately about women’s rights, and they definitely have opinions on what the best solutions are, but they take pains to stay somewhat detached in their examination of women’s issues. I will warn you that some of the realities they share are incredibly disturbing. 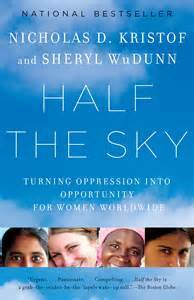 This book is not for the faint of heart, but it balances out the grimness with some thoroughly researched suggestions of ways the reader can make a tangible difference in the lives of oppressed women. The call to action is what made the book worth it to me. The Frazees’ book makes ranks high on my list because it was so practical to my life. They look at the “typical” American life of busyness and chaos and make a good case for how this frantic rushing causes isolation and the breakdown of true community. They also offer a specific solution in the form of a return to the Israelite concept of a day. While I found the “Israelite calendar” idea to be somewhat impractical in our family’s life, Greg and I have nevertheless implemented many of the book’s principles as we have determined our family’s direction. We spent a lot of time this fall cutting unnecessary busyness out of our schedule, and this book was our chief inspiration. And honestly, my satisfaction with my life has been a lot higher since we’ve made those changes! Remember how I said that I’m more of a non-fiction gal? Well, even when I do read fiction, I do not read fantasy. It just holds no appeal to me. And I will most certainly NOT read a book that stars talking animals; that’s a deal-breaker. 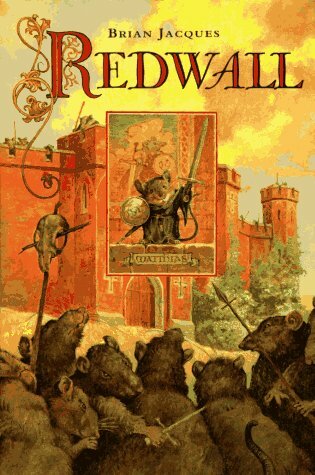 So when people kept recommending the Redwall series as potential readers for Luke, I usually listened to them until they got to “talking mice” and then just shook my head. However, I could only ignore so many recommendations, and so I eventually gave in and checked it out from the library. And, oh my. It was a hit. The language is rich and descriptive, the characters are exquisitely drawn, and the book is epic in scope. We’ve been studying the Middle Ages, and this book almost read like a historical novel: it features a monastery, a siege, and lots of medieval fighting tactics. Now, keep in mind that the Middle Ages could be pretty gruesome, but in this case, the horrors are mitigated by the all-animal cast. Things just don’t seem as serious when it’s mice and rats and badgers and sparrows, instead of people. Regardless, Luke and I were riveted by this book; we would read it for hours. Upon the death of one character, I found myself choking back tears as I struggled to keep my reading voice steady. I read lots of books with the kids in “school,” many of them good or great; however, this is the only one that merits a spot on the top ten list. Luke summed it up best the afternoon we’d finished the book. I think there were 17 chapters in the third and final “book” of the novel. Luke wandered in a few hours after we finished and said wistfully, “I wish we could read chapter 18 of book 3.” Me, too, Luke. Me, too. Alright, time to get back to the psychological genre. This book on child development relies heavily on research from psychological studies, and it was fascinating. Both philosophical and practical, it was full of the type of information that physically made my heart beat faster, just because it was so mind-blowing and cool! Galinsky relies on rigorous analysis and decades of experience to narrow down the key elements of a successfully-developing child. 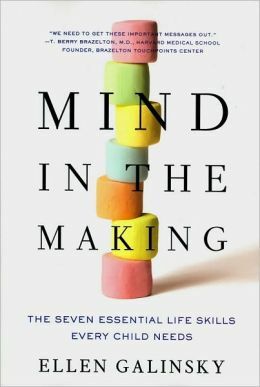 A chapter is devoted to each of these seven “life skills,” and at the end of each chapter, there are LOTS of practical suggestions for how to teach these skills to children. I loved this book so much I taught a class on it. What can I even say that would do justice to the Harry Potter series? That my six-turning-seven year old devoured the entire series over the space of a few months? That I myself inhaled them in less than two weeks? That the series was gorgeous and epic and moving and inspiring and all the things that literature is supposed to be? I don’t know…I can’t…I don’t have the words to sum up their greatness. So I’ll just say this: I skimmed another book this summer called Cultural Literacy, which talked about the “canon” of knowledge that is shared by the members of a given culture. These books rightly have a place in the our cultural canon, along with Shakespeare and Dickens and Hawthorne and Tolkien and all those guys. Don’t bother disagreeing with me on this one; you’ll just lose:). 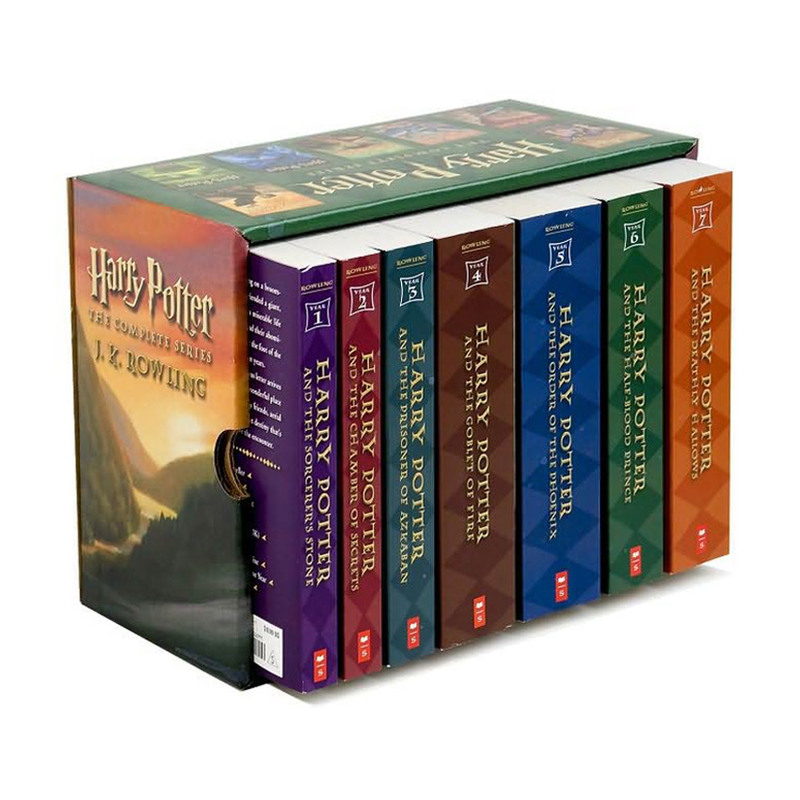 Given my raptures for the Harry Potter series–and I’m certainly not alone in that–it’s shocking that they don’t have the number 1 spot in my top 10 list for the year. In fact, I myself am shocked by their relegation to #2. Here’s the thing, though: I measure greatness in terms of life impact. And honestly, Truman changed my life more than Harry Potter. Of all the genres that I read, my favorite is the historical biography. A well-written biography (which would include anything by McCullough) leaves you feeling like you personally know the subject–and Harry Truman is a great guy to know. His ascendance to the highest office in the land is about as likely as Harry Potter’s ascendance to greatness, and yet Truman’s is real. Here was a perfectly ordinary guy, seemingly unexceptional in every way. He had no riches, no family connections, no particular brilliance…and yet through an unlikely series of events, he found himself negotiating the end of World War 2, making fateful decisions about the atomic bombs, and guiding not only our nation, but the world, in the aftermath of a truly devastating war. At one point, he thought (and not without reason) that he was staring down World War 3, and that the fate of the entire world was in his hands. And really–it was shocking that it didn’t turn out to be World War 3, that it just turned out to be the Korean War. But this ordinary guy made it through all that and a lot more through sheer grit and determination to do right. He had this idea of standing firm and facing whatever comes your way that has really stuck with me. I honestly think about his outlook about once a week whenever I feel overwhelmed with life. It’s a little pathetic, because my issues are slightly less cataclysmic than a World War, but the difference actually gives me hope. Because if Harry Truman could go through everything he went through and come out strong and honorably (which he did), then surely I can handle the curve balls that my little life throws at me. 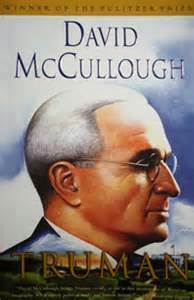 Because of Truman’s example, McCullough’s biography had more of an impact on me than Harry Potter did–and that’s saying something! Well, that’s my top ten list for the year. Honorable Mention goes to Nurtureshock, Persepolis, In the Country of Men, Paul Among the People, and The Happiness Project. There were several other books I read or skimmed this year, but these are the ones that were the best use of my time. What about you? Did you read anything good this year? Two years ago today, I loaded up my kids in our minivan and made the drive from South Carolina to Nashville, just like I did today. Two years ago today, we hugged our neighbors goodbye and thanked them for everything, just like we did today. Two years ago today, I wound my way through the beautiful mountains of North Carolina and Tennessee, and I pointed out all the colorful trees and vistas to my kids, just like I did today. Two years ago today, my heart was full of hope, just like it is today. But two years ago, my head was full of questions. The date was 11-1-11, which was fitting, because it was Day 1 of our new lives in Nashville, TN. I wondered what my house would look like, even as it was being unpacked and painted for me while I drove. I wondered how the kids would like Tennessee. I wondered what we were going to do about Luke’s school situation. I wondered how life in our new church would be. I wondered how I would do teaching classes at Lipscomb. And I wondered what was going to happen with our house in Summerville. Today, I don’t have any of those questions. I know that I love my house, and that it’s perfect for us. I know that the kids love Tennessee and that, in fact, some of their best buddies have also moved up from Summerville. I know that we now homeschool, and that it’s one of the best decisions we’ve ever made. I know that we love our church and cannot imagine life without that community. I know that teaching at Lipscomb is fun, but not for me this year–because my husband is now a grad student there! And I know that we just closed on our house in Summerville yesterday. The story of our house in Summerville is long and uninteresting to hear about, but frustrating and worrisome to experience. And I must say that from the beginning to the end of the saga, there was no evidence whatsoever that the process was being guided by an Omnipotent Being Who Values Efficiency, Tidiness, and the Shortest Distance Between Two Points. However, there was evidence that it was being guided by an Omnipotent Being Who Loves Me, if I had the eyes to see. And sometimes I did. I saw it on my birthday in 2011, the day our first renters signed the lease. It was a huge relief, and I took it as a birthday gift from God. As my birthday neared again in 2012, Greg and I were just realizing the difference in paying 6% in property taxes versus 4% (hint: it’s substantial). It was dawning on us that we would need a little more income in 2012, and then again on my birthday, out of the blue, the head of the English department at Lipscomb called and offered me some courses to teach. This was after I had turned him down already and assured him that with homeschooling, I wouldn’t have time. But wouldn’t you know it, one of the courses he offered me was the only one that would have worked with our schedule. And I took it as another birthday gift from God. I saw God’s love on Sept. 28 this year, which was our Ladies’ Day at my mom’s church. By that point, our renters had moved out, and our house had been placed on the market, where it was currently sitting, having had no viewings for weeks. I was living with a thinly veiled sense of panic: my days wavered between faithfully recounting all the ways that God had guided us up to this point in our lives, and fearfully contemplating the exact nature of our impending financial ruin. That Saturday at my mom’s church, we got into prayer groups and prayed together about the concerns of our heart. I put in a request that my house would sell, and my mom prayed for it. We got a phone call that very afternoon: there was a contract on the house. I’m so thankful for a God who arranges my life precisely as He means to–and who mercifully lets me see His love throughout the process. Last week at our women’s class, I asked my sisters in Christ the questions that I asked Tuesday on this blog. One of the best answers I received was that it is easier to focus on God when you step back and keep the “big picture” in mind. Or, as someone else put it, it is easier to focus on God when we purposefully consider our tasks and then think about how to use them to God’s glory. This idea of the bigger picture has helped me before, and it also puts a finger on what I think is the answer to my earlier question. See, no matter if I am focused or unfocused, sick or well, happy or sad…certain things have to get done in my life. I will do laundry with a happy heart, a stressed mind, or a resentful spirit, but it will get done. I will teach my kids patiently or impatiently, lovingly or unlovingly, but I will teach them. So the secret to glorifying God is not necessarily in the things that I do, because they will mostly be the same either way. Instead, it’s in the mindset that I have when I do them. If I complete my tasks with a focus on the bigger picture of the life of love I’m supposed to lead, then I can do my tasks in a way that brings glory to God’s kingdom–or perhaps even furthers His kingdom here on earth! 1. Start my day off with Him. Even if I am tired, stressed, or feeling aspiritual. Even if I have absolutely zero–no, scratch that–negative desire to pray, meditate, or read the Bible. Even if I can only muster five minutes of focus time. Even then, I am greatly aided by time spent with God. In the morning when my mind is all groggy, it helps to write my prayers in a notebook that I keep for that purpose. Sometimes my prayers are only a few dashed off lines. Sometimes they end up running pages long (never planned, incidentally. It just happens). But regardless, just taking that time to orient my mind around God really helps get my mind on the right track. On top of that, it helps to get in the Word. Again, this might consist of reading several chapters, or just a verse or two. Sometimes I do a particular study, sometimes I follow a reading plan, sometimes I just copy down verses that I like, sometimes I choose one or more on which to meditate. Honestly, it really doesn’t matter. Any time spent in the Word helps me. 2. Play Christian music throughout the day. First of all, let me confess: I am a little bit jaded against Christian music. I rarely listen to Christian radio, as I find the vast amount of songs played on there to be incredibly cheesy. That said, there is Christian music out there that you will like. Even if you involuntarily rolled your eyes when you first read this suggestion, I assure you: the music is out there. Maybe it’s the old hymns. Or maybe more devotional style worship. I personally am drawn to more folksy music like All Sons and Daughters and REND Collective Experiment. I also like the bluegrassy hymns of Chelsea Moon. Seriously, there is so much out there from which to choose! And you know what? Even when I’m listening to Seeds of Faith on repeat for my kids, the sheer repetition of the Bible verses often leads me to some pretty deep meditation in the car. Turns out, it doesn’t matter what format it’s in: hearing Bible verses turns my mind to God. 3. Surround myself with others who are trying to focus on God. We were not meant to live for God alone; that’s why He gave us the church. In my life, I have been blessed with several women who have challenged me in my faith and encouraged me as I seek to live for God daily. In particular, I have one best friend with whom I check in almost every day. Just talking to her helps me focus on God and challenges me to look at my tasks–raising kids, keeping a home, serving the church–through the lens of God’s kingdom. Also, I have found that in over twenty years of being a Christian, I have really come to depend on the church as a whole. Even on mornings or evenings when I’m really tired and honestly want to stay home, I find that I am always blessed when I go to church. There’s just something about gathering with other believers that strengthens me, and that strength carries over to my daily walk. This is huge. I think it was in Mere Christianity that C.S. Lewis pointed out the fact that our mind so often follows our body. We tend to assume it is the other way around, that our mind sets the tone for our body. And in some ways it does, of course. But the reverse is also true. See, sometimes I am feeling quite selfish and have absolutely no desire to serve anyone else…and yet, when I do go ahead and serve, despite my selfishness and lack of desire, I find that usually, an amazing thing happens. Usually, my mind follows my body into a servant mindset. Usually, the very act of service helps focus me on God. I guess that works because when I’m serving, I’m actually imitating Christ. I’m practicing acting like Him. And when I try to be like Him, I start to think like Him. Or something. I haven’t really figured that all out yet, but I do know that it works. Serving others is a great way for me to focus on God. This last one might seem kind of simplistic and maybe even unrelated, but I believe that purposefully practicing gratitude throughout the day always turns my mind to God. Here’s an example of how it plays out: A few days ago, it was evening, and I was feeling frustrated. My dinner plans had not worked out, and I was actually on Plan C. I was tired after homeschooling the kids all day, and I think they had complained more than usual that day or something. Regardless, I was full of negative emotions as I prepared dinner. Then it occurred to me: the house was very quiet and peaceful. And not in that “uh-oh, what’s going on” way. No, Luke was reading a book, and Anna was quietly working on a craft, giving me time to work on dinner in peace. And as for dinner, I had to acknowledge that even though it wasn’t my original plan, it was amazing that I was able to cobble together a delicious meal from ingredients I had on hand. What an abundance of food I must have to be able to feed my family so well! And what wonderful children to quietly entertain themselves and let me prepare it! In the span of just a few minutes, my attitude when from “in the pits” to “full of gratitude.” And who did I thank? God, of course. God is the one who gave me my life and my family and my food. Just choosing to be grateful for His blessings helped to focus me on Him. Those are just some ideas that have worked for me over the years. Do you have anything to add to the list? How do you focus on God, even in the midst of your busy life? How Do You Set Your Mind on Things Above, When The Earthly Things Need So Much Attention?? I am super good at focusing on one thing. This ability to really hone in on something made me a fantastic student. I could sit and absorb a lesson from a teacher or meticulously research, draft, and type out a paper, even if it took hours. During that time, the rest of the world would be dead to me as I completely zeroed in on my task. As a mom, however, this “gift” has become more of a hindrance. See, as a mom, I will find myself folding laundry and trying to figure out what’s for dinner at the same time (this is my version of multi-tasking). I will be mentally surveying my freezer, fridge, and pantry trying to put together a meal, and then Luke will come in, wanting to walk me through the specs of his latest LEGO creation. Then, as I’m trying to divert to LEGOland, Greg will enter the room, asking me if I know where the keys are. And then my head explodes. Because laundry. Dinner. LEGOs. And keys. Are four things! FOUR THINGS! Not just one thing…but four. Do you understand? I just can’t focus on four things at once. But wait, it gets better. As I’m working on laundry, dinner, interacting with Luke, and finding the keys, I’m also being a Christian. And the Bible tells Christians that we also need to be focusing on God during this time. It even uses all-encompassing words like “continually,” and “in all circumstances” (“Pray continually; give thanks in all circumstances” 1 Thess. 5:17). And in Colossians 3, Paul tells us to “set our minds on things above, not on earthly things.” Sooooo…for those keeping track at home, I’m now apparently supposed to be focusing on seven things: laundry, dinner, LEGOs, keys, prayer, gratitude, and heavenly things. At once. Look, even if I stop folding laundry, wrench my mind away from dinner, and then tell Greg the keys are in my purse before getting down and focusing on Luke’s LEGO creation (thus narrowing my earthly things down to the coveted “one”), how do I interact with Luke in a way that is prayerful, grateful, and focused on God’s kingdom? In other words, how do I keep my focus where it is supposed to be in the midst of the busyness of life? How do I set my mind on heavenly things as I do laundry, make lesson plans, pay bills, fix dinner, and interact with other people? Was God serious when He said to do EVERYTHING for His glory? And if so, how do we do that? How do we maintain focus? THAT is the focus (har har) of tonight’s lesson in our women’s class at church. I actually do have some ideas about the subject, since I’ve given it a considerable amount of thought and study over the years. But I’m also interested in what my fellow sisters have to say, both in class, and in our larger Facebook group (and brothers, too! I’m not trying to leave anyone out). So, what do you think about all this? What do you think it means to “set your minds on things above and not on earthly things”? And how do you manage to do that in this busy life?